Eunjin is an Associate Research Scientist working on the integrations of advanced climate information, remote sensing data, and crop/agro-hydrological models for crop yield predictions and climate risks assessment for informing decisions at the farm scale to the policy level. She received her Ph.D. degree in Civil Engineering from Purdue University. Before joining IRI, she worked at USDA-ARS Hydrology and Remote Sensing Lab focusing on improvement of a soil moisture data assimilation system for agricultural drought monitoring. 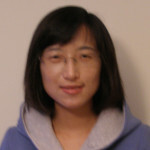 Currently Eunjin is working on improving a climate-based crop forecasting system, including application of data assimilation techniques to agricultural modeling. Optimal integration of ground measurements, remote sensing observations and hydrologic modeling at various scales to improve hydrologic predictions; application of data assimilation techniques to hydrological and/or agricultural modeling; applications of remote sensing data and GIS for water resources management; climate change impact on water cycle.